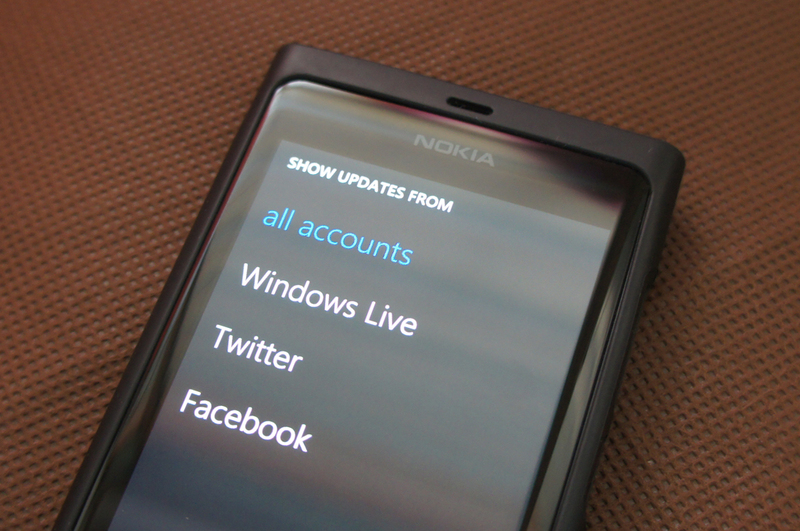 Just got my hands on a Nokia Lumia 800 from Bryan last weekend, so today I'm sharing my user experience here. First of all, I find Nokia Lumia 800 has some similarities to my Apple iPhone 4, despite it is running on a different operating system Windows Phone 7.5 developed by Microsoft. Similar to Apple iTunes, Nokia Lumia 800 user needs to hook up to Zune software for file (music, video, pictures, apps) transfer and synchronization. Windows Phone offers the user limited freedom in file management like the iOS as it doesn't allow file transfer using Bluetooth and there's no File Manager too. Besides, Nokia Lumia 800 doesn't have any memory card slot for extra storage just like my iPhone 4. The phone design of Nokia Lumia 800 is quite unique and nice with a one-piece polycarbonate body. It is slightly lighter than iPhone 4 and much tougher with the screen protection of Gorilla glass. I wish iPhone 4 uses Gorilla glass so I don't have to worry of it dropping onto the floor. 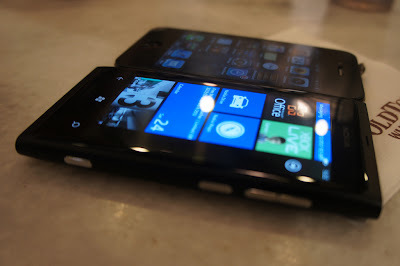 Now let me continue with the features of Nokia Lumia 800 that impressed me. The animated tiles on the home screen looks very "lively". These live tiles are displaying information and notification dynamically, so sometimes I don't have to go into the individual app to read them. They are making the home screen interesting unlike the boring iOS home screen. Furthermore, I can easily pin an app or a shortcut from within an app to the home screen for quick access too. I like the way Windows Phone organizes the apps in alphabetical order by default. Folder or category might be missing here but I prefer them to be listed in alphabetical order so it's easier to search for them. I've become a minimalists after using the iPhone 4 for almost a year and I feel comfortable using Nokia Lumia 800 because the operating system is very user friendly, simple and very responsive. It doesn't lag while multiple apps are open and I can easily switch from one app to another in multitasking view. Many features in Nokia Lumia 800 are people oriented, such as People Hub provides a quick and easy way to stay connected with friends. Updates in multiple social networks like Facebook and Twitter are grouped into one live stream where I can view all of them at one place. I like the fact that I can filter these updates by only display updates from one or more social network services. 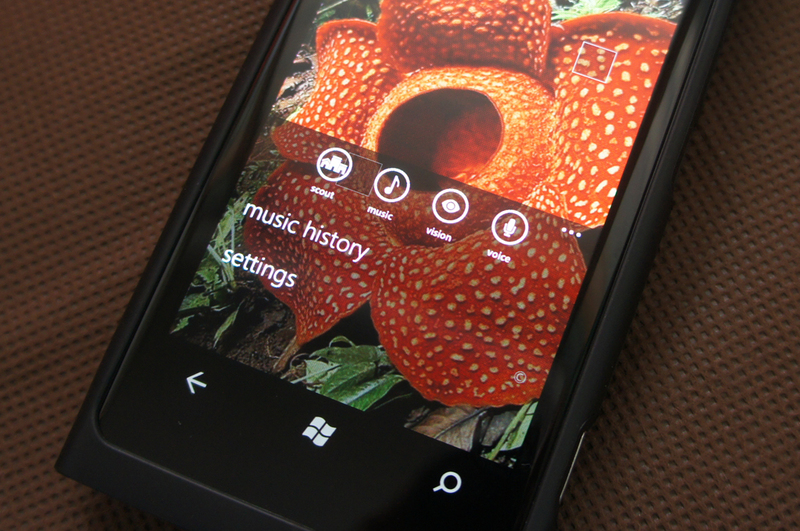 Bing Search in Nokia Lumia 800 is another feature that I wish it exists in iPhone. Using Vision in Bing Search, I can make an instant online search just by pointing the phone camera to a barcode, QR code, book cover, CD or DVD. 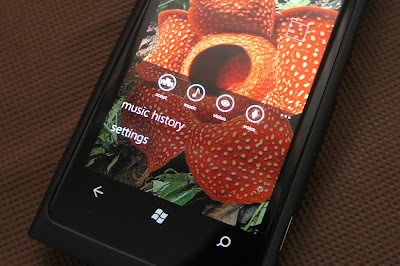 Music in Bing Search (works like Shazam) can easily recognize a song by playing the music near the phone. I've tested both features in Bing Search and they work like wonders every time. Furthermore, Bing Search is integrated into the phone so I don't have to install any third party apps at all. 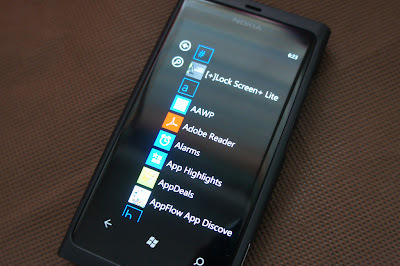 I like free apps especially useful ones therefore I'm a little jealous Nokia Lumia 800 comes with some Nokia exclusive apps such as Nokia Drive, Nokia Maps and Nokia Music. I've been longing for a free turn-by-turn navigation app with voice guidance like Nokia Drive to be available for iPhone but I guess that won't happen in near future. The location detection in Nokia Maps is very accurate and fast, usually it take just a second or two to determine my current location after launching the app. The free 25GB SkyDrive online storage that comes in all Windows Live accounts is the solution to the lack of an expandable memory card slot on Nokia Lumia 800. The user can upload documents and pictures onto SkyDrive in case the internal phone storage of 16GB is not enough. SkyDrive is integrated into the phone and can be easily accessed from Mobile Office and Pictures apps. SkyDrive provides a good way for file sharing and file management. There's no better broadband plan than the #P1OnePlan that gives you 3 services from RM59 only! Blogs? Emails? Always online? Then Super 48 is all u need with #Yes4G Super Unlimited Postpaid Plans!